Biography: Dr. Daneshmand is Professor of Department of Business Intelligence & Analytics as well as Department of Computer Science at Stevens Institute of Technology. He has more than 35 years of Industry & University experience as Professor, Researcher, Assistant Chief Scientist, Executive Director, Distinguished Member of Technical Staff, Technology Leader, Chairman of Department, and Dean of College at: Bell Laboratories; AT&T Shannon Labs–Research; University of California, Berkeley; University of Texas, Austin; Sharif University of Technology; University of Tehran; New York University; and Stevens Institute of Technology. He has Ph.D and M.S. degrees in Statistics from the University of California, Berkeley; M.S. and B.S. degrees in Mathematics from the University of Tehran. He is well recognized within the academia and industry and holds key leadership roles in IEEE Journal Publications, Conferences, and Industry – IEEE Partnership. He has served as General Chair, Keynote Chair, Panel Chair, and Technical Chair of many IEEE major conferences. He has given several Keynote speeches in IEEE as well as international conferences. He is an expert on IoT and Big Data Streams Analytics. Biography: Latif Ladid is a Senior Researcher at SnT. He works on multiple European Commission Next Generation Technologies IST Projects: 6INIT, www.6init.org – First Pioneer IPv6 Research Project; 6WINIT, Euro6IX, www.euro6ix.org ; Eurov6, www.eurov6.org ; NGNi, www.ngni.org ; Project initiator of SEINIT, www.seinit.org and SecurIST, www.securitytaskforce.org . 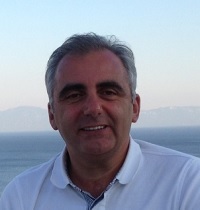 Latif initiated the new EU project u-2010 to research Emergency & Disaster and Crisis Management, www.u-2010.eu, re-launched the Public Safety Communication Forum, www.publicsafetycommunication.eu , supported the new IPv6++ EU Research Project called EFIPSANS, www.efipsans.org and the new safety & Security Project using IPv6 called Secricom, www.secricom.eu and co-initiated the new EU Coordination of the European Future Internet Forum for Member States called ceFIMS: www.ceFIMS.eu. He holds the following positions: President, IPv6 FORUM www.ip6forum.org, Chair, European IPv6 Task Force www.ipv6.eu , Emeritus Trustee, Internet Society www.isoc.org , Board Member IPv6 Ready & Enabled Logos Program and Board Member World Summit Award www.wsis-award.org . Biography: Dr. Young-Woo Lee joined KT (Korea Telecom) in 1990 and is currently a Vice President of the Institute of Convergence Technology since 2012, where he is responsible for leading the R&D effort of KT O&M (Operations and Management) Systems/Platforms to monitor and control network resources from home to backbone. 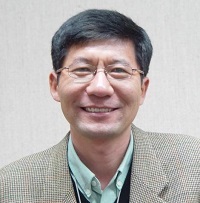 He has served as Steering Committee of APNOMS (Asia-Pacific Network Operations and Management Symposium), as well as Chair of KNOM (Korean Network Operations and Management) within KICS (Korean Institute of Communications and Information Sciences). He got both, his BEng (1984) and MEng degree (1990) in the Department of Electronics Engineering from Soongsil University and received his Ph.D degree in the Department of Computer Engineering from Chungnam National University, Korea in 2005. His interests include software-defined networking (SDN) and network functions virtualization (NFV), cloud computing, and next generation technologies such as big data analytics and 5G. 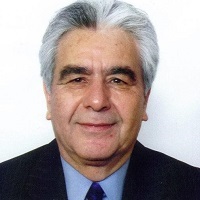 Biography: Dr. Balci graduated from Turkish Naval War Academy in 1986, got his master degree from Naval Post Graduate School in California/USA in 1991, and Ph.D. degree from Boğaziçi University, CmpE Department in 2000. In Turkish Navy, he served in different warships and coast guard boats for four years. He, then continued his carreer as an engineer officer. He was one of the core team members during the establishment of Turkish Navy Soft. Dev. Center (YAZGEM) and Research Center Command (TNRCC- ARMERKOM). He actively participated in and lead proudly, various mid-to-big scale projects in Turkish Navy and NATO. He was in charge of TNRCC for five years and Turkish Navy R&D Department for one year. He resigned from his active military duty in 2013, as Navy Captain. After active military period, he joined ARGELA. Dr. BALCI, as the Head of Research, Technology & Innovation Center, is responsible for long term R&D projects in ARGELA. He has a team of ~40 personnel, in Central Office, Istanbul as well as Ankara and Sunnyvale branches, heavily involved in developing 5G & 5G enabling technologies such as SDN&NFV. 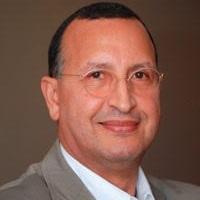 He is also the coordinator of 5G Center of Excellence Lab in ARGELA. Biography: George Pavlou received the Diploma in engineering from the National Technical University of Athens, Greece, and the M.Sc. and Ph.D. degrees in computer science from University College London, U.K. He is a Professor of Communication Networks in the Department of Electronic and Electrical Engineering, University College London, U.K., where he coordinates research activities in networking and network management. His research interests focus on networking and network management, including aspects such as traffic engineering, quality of service management, autonomic networking, information-centric networking, grid networking and software-defined networks. 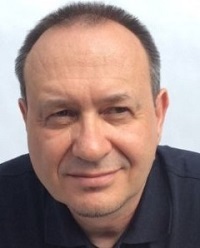 He has been instrumental in a number of European and U.K. research projects that produced significant results with real-world uptake and has contributed to standardization activities in ISO, ITU-T and IETF. 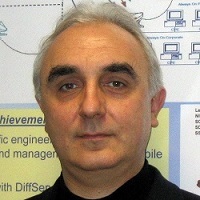 He has been on the editorial board of a number of key journals in these areas, he is the chief editor of the bi-annual IEEE Communications network and service management series and in 2011 he received the Daniel Stokesbury award for “Distinguished technical contribution to the growth of the network management field”.